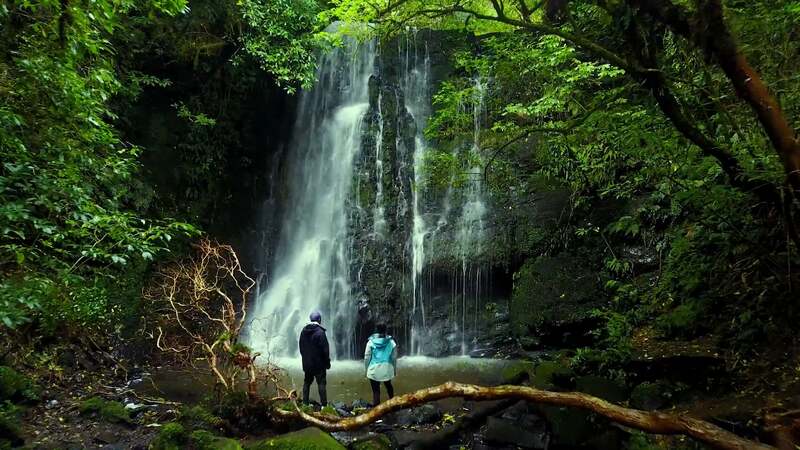 The Catlins, the spectacular coastal stretch between Balclutha and Invercargill, boasts a rugged beauty and untouched quality that is magnetic. Here you’ll find a world of native forests fringed by high cliffs, deserted sandy beaches, sparkling bays, cascading waterfalls, hidden lakes, blowholes, caves, and even a petrified forest. These environments are home to an array of fauna, from native birds, to seals, sea lions, dolphins, and penguins. The Catlins’ natural landscapes are enthralling and the wildlife is extraordinary. With its lighthouse perched on a spur of land, Nugget Point (Tokata) provides a breathtaking viewing platform, while Slope Point intrigues as the South Island’s southernmost point. At Curio Bay (Tumu Toka) watch the outgoing tide reveal a 180 million year old Jurassic forest. Another must visit lighthouse is the Waipapa Point Lighthouse where you have a big change of seeing some sea lions sunbathe. Travel inland to view the stunning McLean Falls, Purakaunui Falls and Matai Falls, some of the most photographed waterfalls in the world. There are more waterfalls to explore in The Catlins some more known than the others. Due to its exposed position, the Catlins’ coastline sees some of the country's largest ocean swells, raising impressive waves which nowadays attract big-wave surfers, but in the past have caused numerous shipwrecks. Some of the best surf spots can be found in The Catlins. Places like Tautuku Bay and Curio Bay are good for surfers of all levels, if you're more adventurous and into big wave surfing head over to Papatowai where you can ride swells over 10ft. Walking tracks allow you to access these special scenic and historic sights. Short walks and longer tracks are scattered around the region, most are accessible straight off the main road, making it a perfect stop when traveling along the Southern Scenic Route. Only accessible at low tide, the dramatic caves in the cliffs at the northern end of pristine Waipati Beach impress with their huge height and length. We have a wide range of accommodation available to suit any traveller and we are also proud to present a warm and inviting cafe and bar.